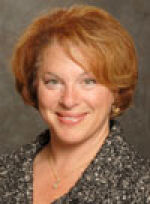 Professor Fehrman is a Legal Skills Professor at California Western School of Law in San Diego. She was Deputy Director of the State of Michigan's Department of Human Services, and served as Director of the Bay County Michigan Public Defender's Office. She is an Editorial Board Member of the Michigan Child Welfare Law Journal. Professor Fehrman began her legal career as an officer in the US Navy Judge Advocate General's Corps (JAG). From there, she moved to civil litigation and appeals, representing businesses in real estate, energy, and contract cases at Luce Forward in San Diego. She was an arbitrator for the San Diego Board of Realtors, and wrote legal columns for their magazine. Following a move to Michigan, Professor Fehrman continued to practice business, real estate, and government law. There is a new study out from Yale Law School that reports widespread mental health issues among Yale’s law students. More than 30 percent reported depression and other mental health issues, but the author suspects that well over 70 percent actually suffer from mental health problems. There have been more articles recently about schools cutting arts and music budgets. As though music is expendable. As though we and our children can live without it. Social media. What a trip. Call me Ishmael. My mother was a maid to the elderly lady of a wealthy home. The lady was a formidable woman, but not able to have children. My mother, on the other hand, accepted her own humble condition. She was a servant, and embraced service. She also embraced the master of the house. My law students are going to be lawyers -- a double-edged sword for them. On the one hand, lawyers serve in the world; we serve neighbors, communities, governments, institutions. And service may be the most honorable purpose we humans can aspire to. I expect to see this story any time now on the nightly news, because the trustworthy Dr. Grant told me it will happen someday. Is it worth 'sounding the First Amendment bugle' for cyberbullies? Schools may discipline a child when the child speaks at home, outside of school hours, without the use of any school resources. This season, four petitioners have asked the U.S. Supreme Court to guide schools and students when it comes to kids’ speech on the Internet. Where does a school’s reach end? The court should accept these cases; schools need to know. Politically correct America, listen up. We have PTSD. Post Traumatic Stress Syndrome. And painting the world beige is not helping. We need to stop being afraid of our truths. Here is a new old twist to New Year's goal setting. It's a koan of sorts. How do we set goals when there is no future? As a law school professor, people have asked me, "What is it that young people think Barack Obama will do for them?"